Years ago, when I was taking some time off from actively selling real estate and focusing on family matters and on my real estate investments, a guy rang my doorbell and said he was looking to buy some units in the area. Did I know of any for sale? I said I didn’t and pointed to the real estate company down the street. “You should check there,” I said. He shifted his weight a bit and looked at me from under lowered eyes. I knew the feeling the guy had. There are some bad apples in the agent bunch. It doesn’t seem fair that they get these big, fat commissions at the end of the sale, especially when it seems like they’ve put hardly any work into it. What buyers and sellers forget, though, is how much goes on behind the scenes. Good agents work hard for their commissions and have a far higher level of expertise at finding the best properties, negotiating an offer, and shepherding a buyer or seller through escrow. Of course, I’m a little biased. And I have a skill set that allows me to take advantage of those commissions when acting on my own behalf. 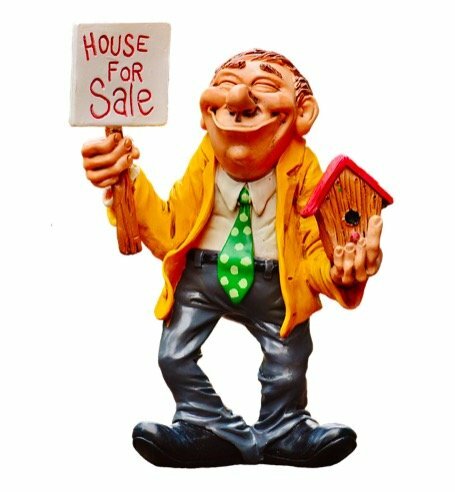 Even so, I’ve used an agent for any buy/sell outside of my area of expertise, be it geography or property type. No one knows the inventory like full-time real estate agents. The agents I use live and breathe their specialty–when they find a good deal, they let me know right away. This includes “pocket listings” — properties that may not be on the open market, but are still for sale. Agents from the areas I’ve bought in call me about these listings because they know I’m loyal. I’m not out shopping agents in their territory and looking for the best deal– if I were doing that, they would never call me about anything, because they’d figure that I was already going to find out about it from someone else. The effort of the phone call would be a waste of time-time better spent with buyers that they know will work through them when they’re ready to make a move. I didn’t tell him that this owner worked that way because they wanted to deal with someone they trusted– not a guy ringing their doorbell.